Dolichorhynchops (Greek for “long-snouted face”) is pronounced DOE-lih-co-RIN-cops. 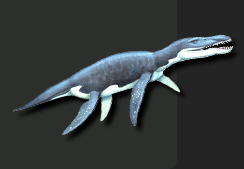 the Kronosaurus length probably being about 9–10 meters. 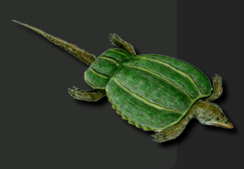 The Psephoderma was not a dinosaur. 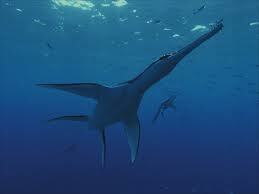 It was actually from a group of swimming reptiles called Placodonts. 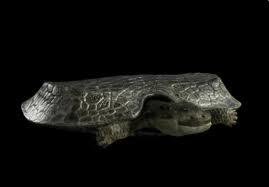 This speces had a lot in common with today’s turtles. 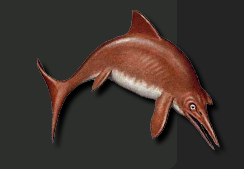 Shonisaurus was first discovered in 1920. The name actually means “Lizard from the Shoshone Mountains” in Greek. 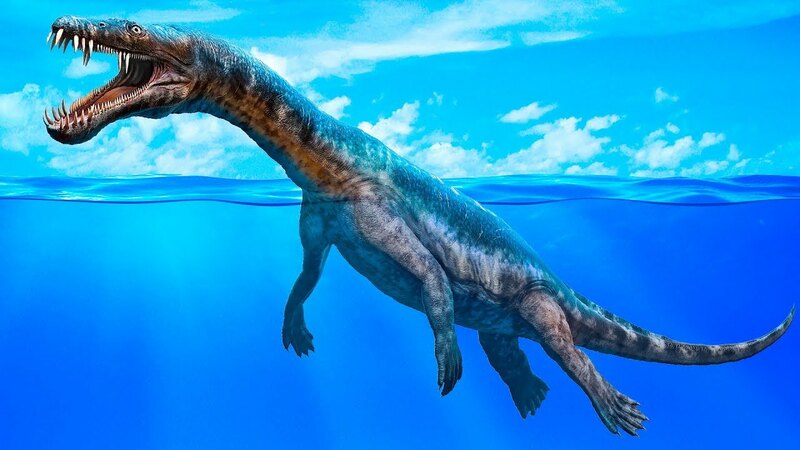 From a very old era to the present day different marine reptiles were known to have been disappeared. 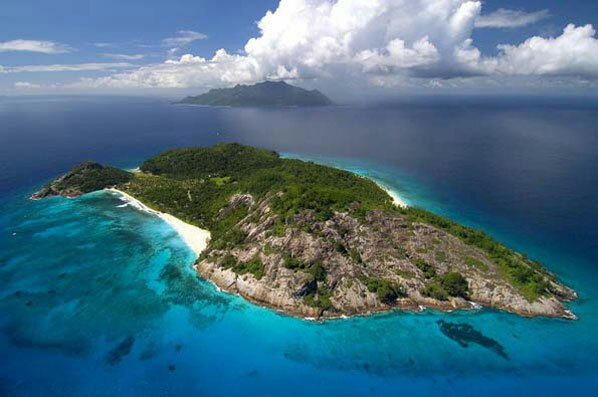 A lot of animals and plants were known to have lived during the Mesozoic era along with dinosaurs. Some of these reptiles were intimately related to dinosaurs like pterosaurs, but these were not dinosaurs. 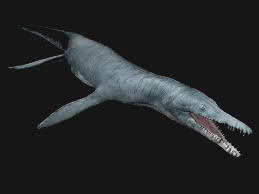 This was a marine reptile that was around 4m long. 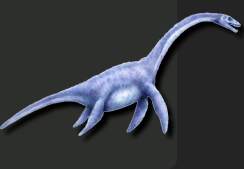 Cryptoclidus were known to have lived during the Jurassic period around 150 million years ago. 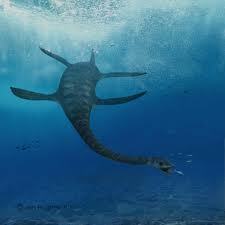 It had large paddle like flippers, a wide skull and interlocking and curved teeth. The prey of these animals was squid and fish and it also ate crustaceans. 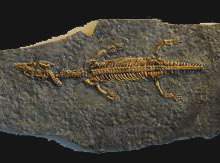 The fossils of this animal were found in France , England and South America . Megalodon was an ancient shark, which was known to have lived 25 million years ago. 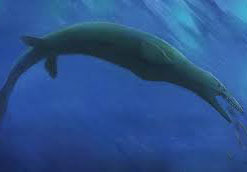 It was known to have been around 12m long. But, researchers feel that it would have been even longer since this size of megalodon is not proved. From the fossils of this great shark it would have got giant teeth and the size of the teeth along would be nearly the size of a person’s hand. Apart from the teeth, no other part of the body of this animal was found. It would have eaten whales as its prey. This was a snake-like water living reptile. These animals were closely related to monitor lizards and snakes. They might have lived in shallow seas. 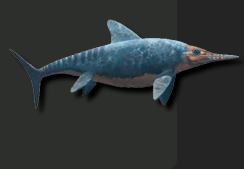 The term mosasurs is spelled as moes-ah-sawr. 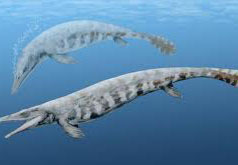 They were known to have lived around 65 million years ago. 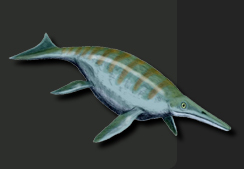 The first mosasurs was found in the year 1780 at the Netherlands . Some of these species were found in north Atlantic and some others were found in south Atlantic . They would have eaten turtles, fish and mollusks. They had strong teeth, which was used by the animal for crushing shelled animals for consuming them. They would have spent most of their time in water and they would have swum like a snake with the help of their finned tail. 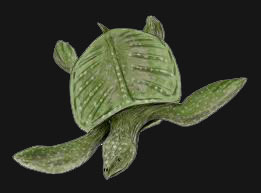 These were marine animals with hard-shell and they would have lived around 500 million years ago. 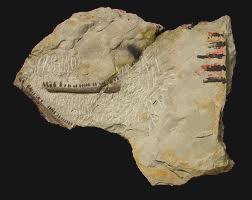 Researchers suggest that Trilobite would have got over 15000 species some of these species were known to have swum, some drifted with ocean currents and some other crawled along the sea floor. Each Trilobite would have followed its own diet, some were plant-eaters, some were scavengers and some other ate decayed materials. It had got this name because it had three-lobed shells. The body of these animals is divided into three parts, namely head, thorax and the tail. They had antennae, compound eyes and jointed legs. They were in different sizes ranging from ¼ inch to 2 feet long. 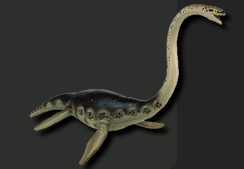 Nothosaurs were marine reptiles, which had long tail, long neck and which was around 6m long. 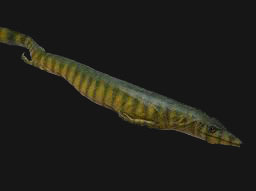 They were fish eaters and they had paddle like limbs with toes and webbed fingers. 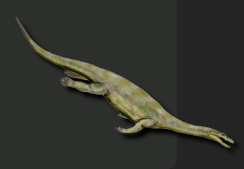 These reptiles had long teeth and the back teeth were shorter than the front teeth. These had nostrils on the top end of the nose. 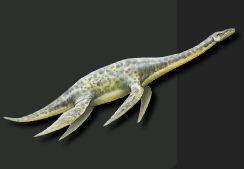 They were known to have been lived during the Triassic period. They might have used their paddle limbs for swimming. 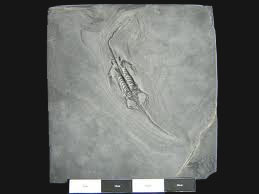 The fossils of this animal were found in Netherlands , Germany , Switzerland and Italy . They were found in Asia and North Africa as well. 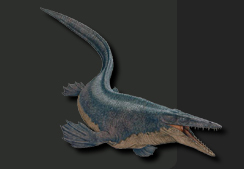 Even though, they have spent most of the time in water, they were known to have spent time in land as well.